American veterans are some of the most important and selfless people in our country today. Currently, there are countless senior veterans living in the United States who gave years or even decades of their life to this country. If you are looking for ways to support or connect with a senior veteran, whether this veteran is a family member, loved one or even a general acquaintance, there are easy ways you can connect with senior veterans and show them just how much you appreciate all they have done. While many senior veterans are able to retire with their friends, family members and loved ones by their sides, there are other senior veterans who aren’t so lucky. More senior veterans than ever are homeless or living on a limited income and there are many foodbanks and shelters who are doing their best to feed and clothe these seniors at a time when they need it most. Consider donating to these veterans as something as little as a hot meal and a warm jacket can truly change their lives. There are many sporting events, trivia nights and concerts in cities and towns across the U.S. that have special veteran nights to honor those who have served. If you want to really make a difference in the life of a veteran, consider taking him to one of these events. 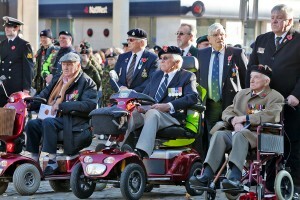 It can mean a great deal to many senior veterans to be around other military members. This also gives the senior a chance to see just how many other members of their community support and appreciate all they have done and the sacrifice they have given. In communities around the country, the budgets for local VFW (Veterans of Foreign Wars) organizations are being slashed. 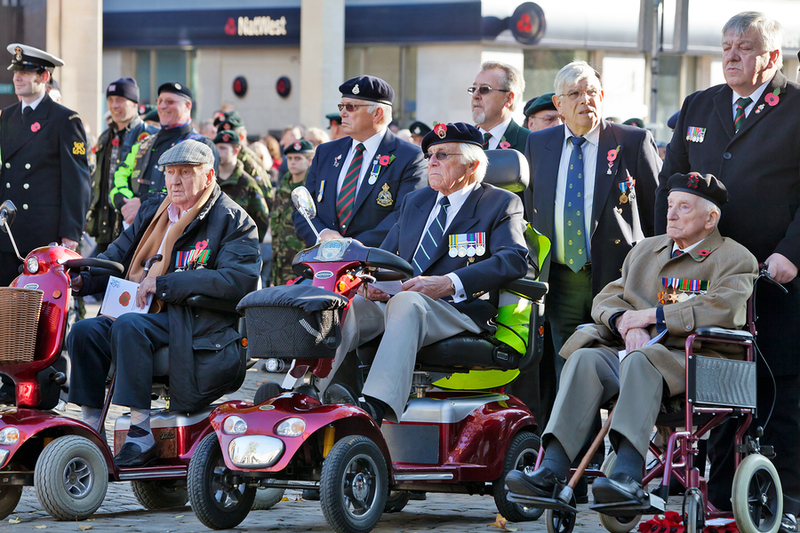 These organizations are very important not only for younger veterans but for senior veterans as well and they provide these individuals with the support they need from their home communities. Organizing a fundraiser to support your local chapter is a great way to also support the senior veterans in your area. The Honor Flight program is a great organization that helps senior veterans visit the Washington D.C. war memorials. This program is constantly looking for chaperones who go with senior veterans to the nation’s capital. This is one way to dedicate your time to veterans and to make sure they are getting the care and support they need to safely fly and see these important war memorials. This is a very emotional experience for many of today’s veterans and something that any senior veteran would appreciate. There are many local networks that help create support systems for senior veterans who are in nursing home care or assisted living facilities. These support networks can help you find veterans who may not have a lot of friends and family nearby and who would benefit from having visitors. If you know someone who is a veteran and living in one of these communities, simply stopping by with a coffee or coming over to chat and look at photos can make all of the difference in their world.